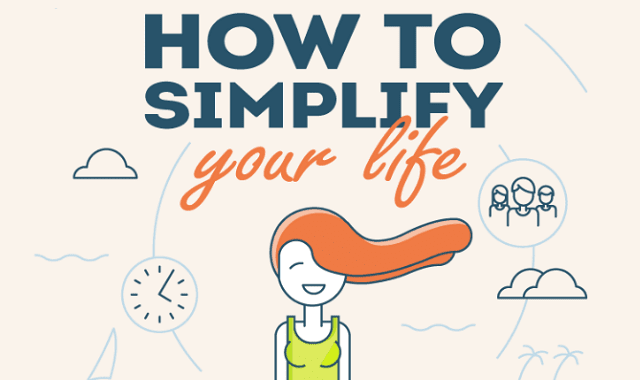 How to Simplify Your Life #Infographic ~ Visualistan '+g+"
Life can be complicated - it always seems like there is a trade-off. If you're keeping up with work, then your home's a mess. If you're socializing with friends, you have no time for yourself. Where do you start when you want to simplify your life?